Capcom has announced a development deal with UK-based multiplayer online game developer Monumental Games to create a multiplatform title to be released and published by Capcom later this year. Details are scant about the deal between Capcom and Monumental, the developer behind online games Football Superstars and the upcoming hunting MMO Hunter's World. A brief scan of their official website did offer up this cryptic note about a mysterious console project. We can't reveal the franchise as yet, but we can say we're both proud and excited to be working on it. As you would expect given our core technology, there's a substantial online element, but the gameplay focus is pure adrenalin. A Capcom franchise that they are proud and excited to be working on? What could it be? Street Fighter? Mega Man? Resident Evil? Perhaps a more MMO version of Monster Hunter? We'll be sure to hear more soon, with the mysterious title scheduled for release later this year. Until then, speculate away! 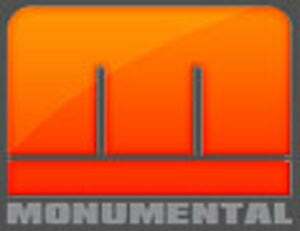 London – 21 January, 2009 – Capcom®, a leading worldwide developer and publisher of video games, today confirmed it has signed a development agreement with UK based Monumental Games. Under the terms of the agreement Monumental Games will develop an as yet unannounced multi-platform title scheduled for release and published by Capcom later this year. Monumental Games was founded in 2005 by Rik Alexander and Rocco Loscalzo and has two UK based offices in Nottingham and Manchester as well as an operation in Pune, India and currently employs over 100 people.